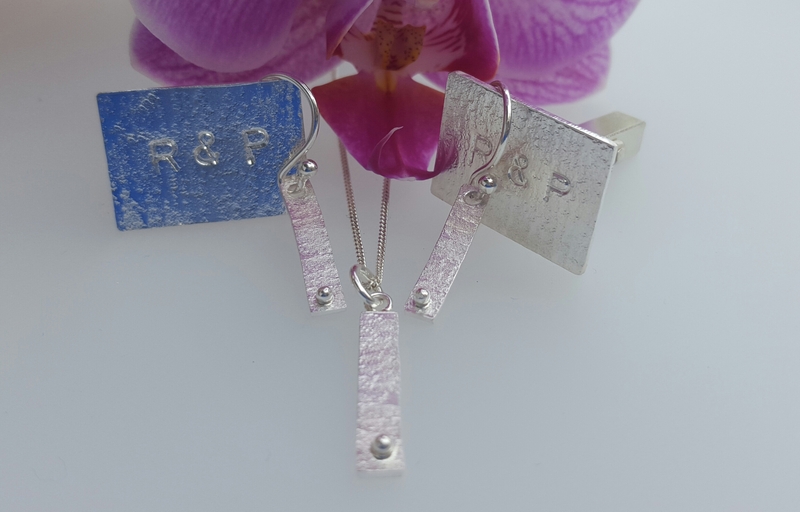 I love the idea of personalised jewellery. 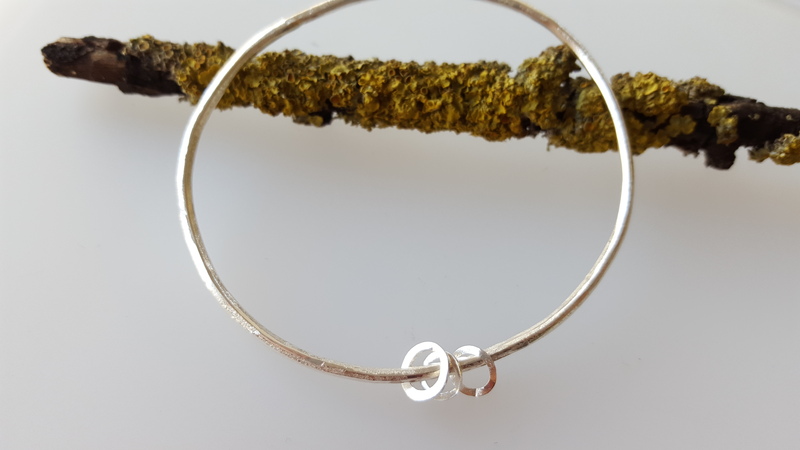 Jewellery that MEANS something to the owner or gift giver. 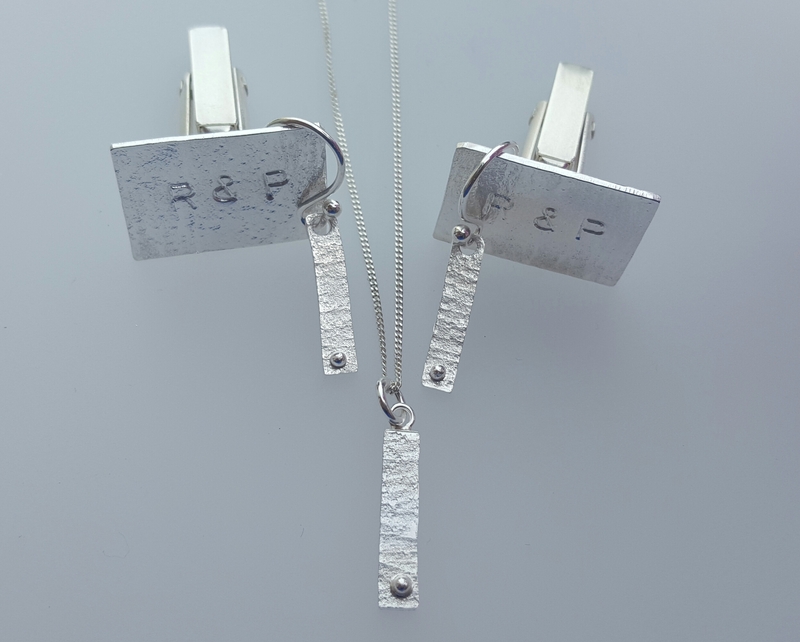 I do a little bit of stamping letters etc, on jewellery but my hearts not in it. I prefer more of a simple symbol. A representation of someone or a group of people that you love. Be it your siblings, parents, children, partner or pet. That’s where this line of jewellery came from. 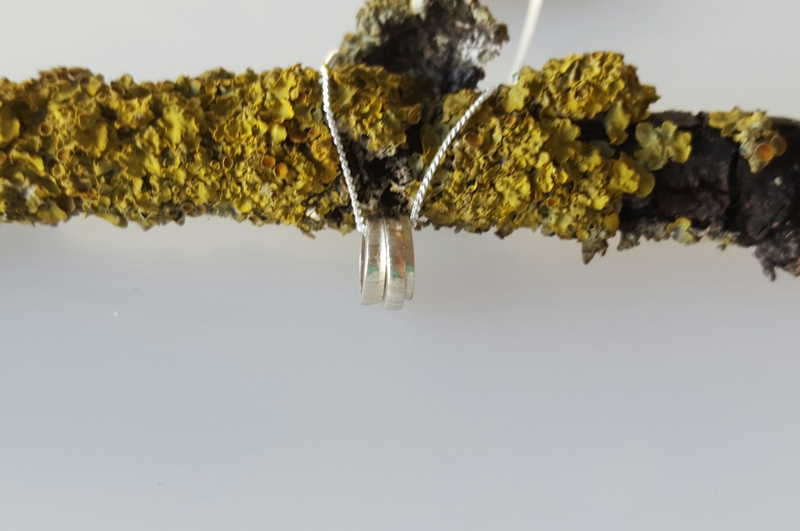 I thought how can I represent my loved ones in a piece of jewellery that I would wear every day. For me the 5 piece necklace represents my siblings and I. All five of us! (how did my parents do it). We are all living separate lives in different countries but we all love each other dearly. Each one sits on the chain unique and different but similar in many ways. 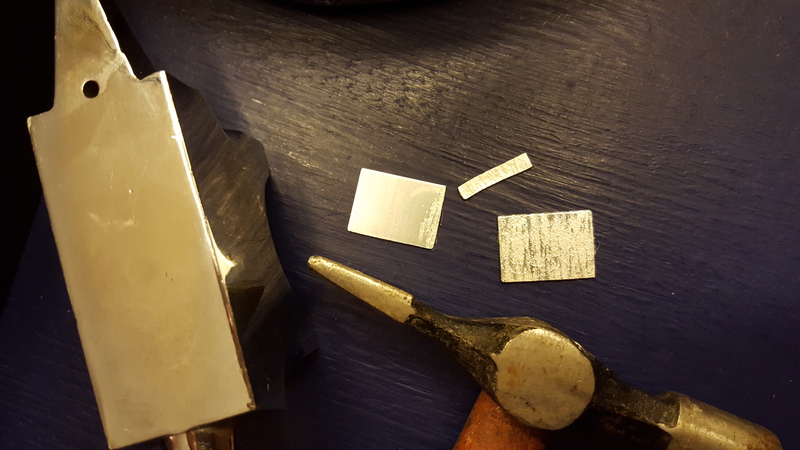 I cut the pieces from the same piece of silver, which means each piece was once joined together. I think that makes it mean that little bit more. 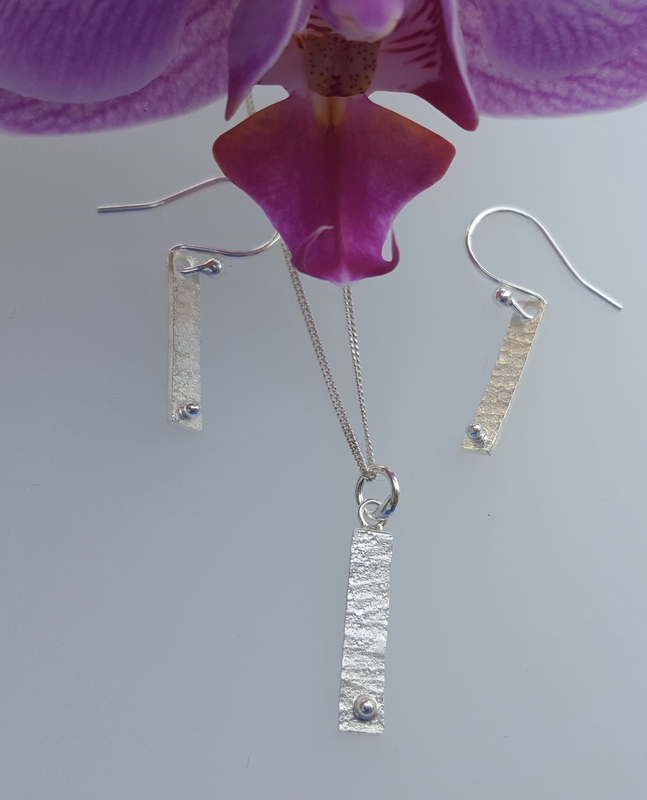 I also have a pair of earrings representing my parents and a bangle representing myself, my husband and our daughter. It’s a very lovely way of remembering your connections. I have a ritual of choosing jewellery in the morning. The finishing touch to getting dressed. I would feel naked without it. I always choose my jewellery depending on my mood. I have been particularly missing my siblings recently so I wear that one a lot. It’s a way to keep them close. Really I should call or Skype more often. But this is my way of keeping them close to my heart. 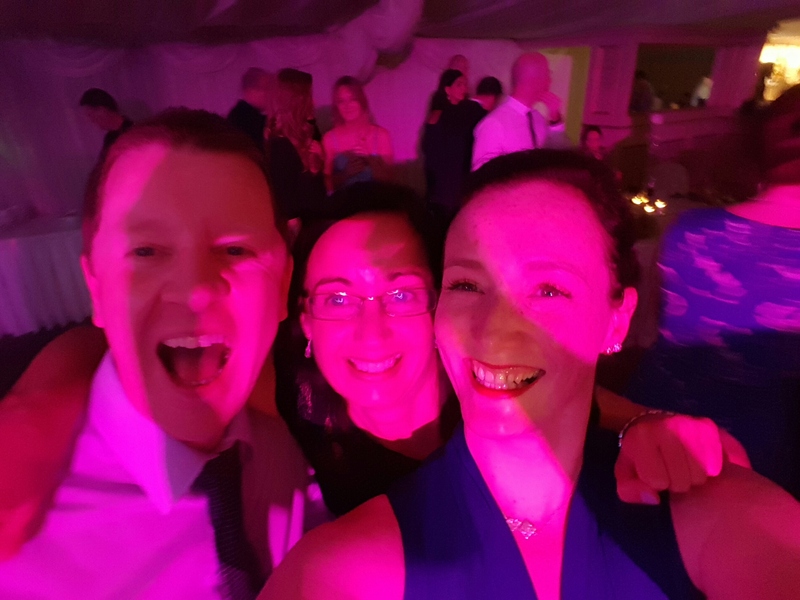 I recently went to a wedding of a good friend of mine. We had lived together in a flat in Sydney, Australia together with 3 other girls about 10 years ago now. Doesn’t time fly! It was a two bed flat just back from Bondi Beach. Five Irish girls having the time of our lives. We spent Christmas 2004 together. (A total of 37 people at a restaurant at the beach on Christmas day, complete chaos and carnage) good times. We met our partners at various stages of our travels and we were there for each other when it was tough. I didn’t know what to get Rachael and Peter for a wedding present. My husband suggested I make them jewellery. It seemed obvious as that’s what I do. But I hadn’t really thought of jewellery as a wedding present. 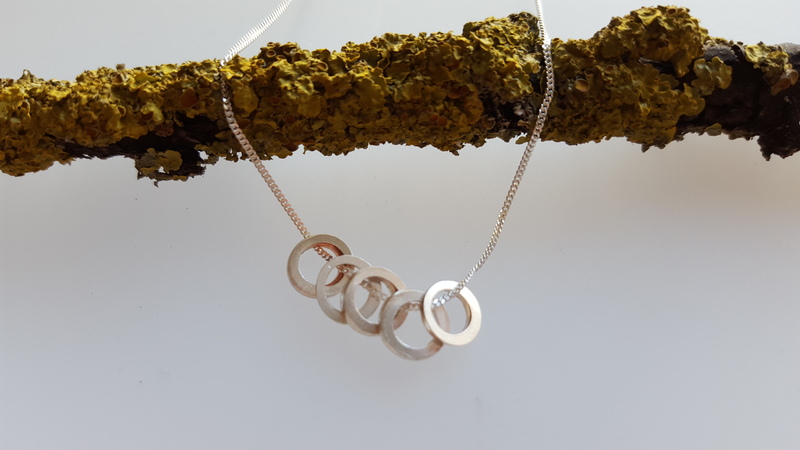 Up until now I have (rather traditionally) thought that the only jewellery involved in a wedding is bought before the day to match the Bride and Grooms outfits and as gifts for Groomsmen and Bridesmaids. 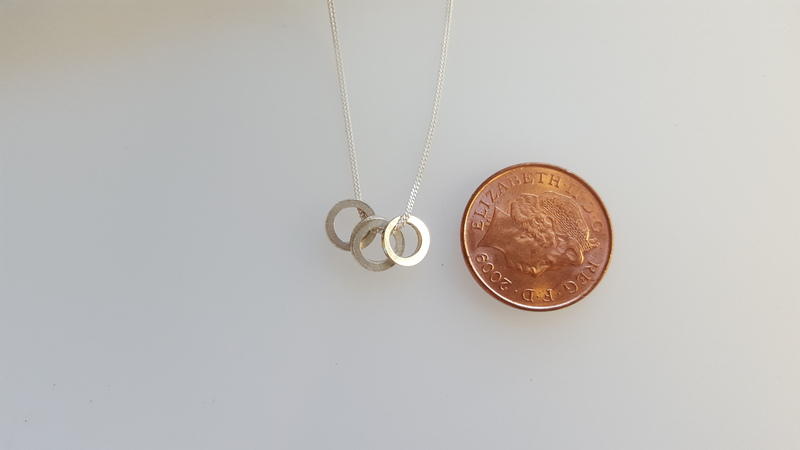 I thought about it for a while and figured if I could think of a way to make matching jewellery but not making it naff that would be a great personal gift. I have been really into customising tools recently so I thought I could use the same texture but a different design for his and hers. I used a customised hammer to texture the jewellery. Same same but different. 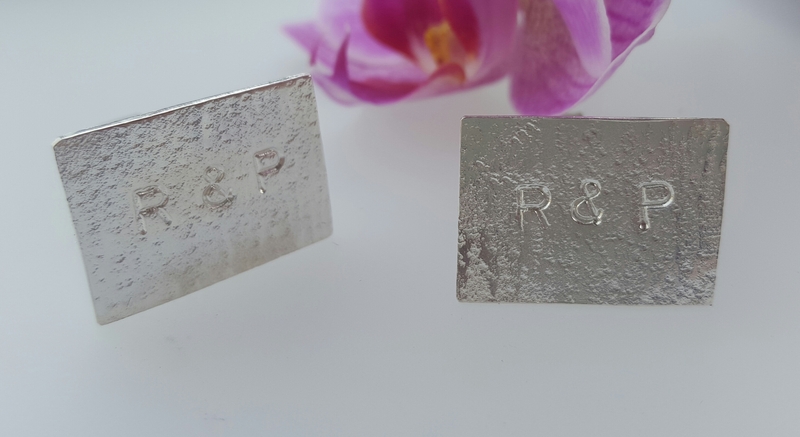 I made Peter personalised cufflinks with R&P stamped. And I made Rachael a pair of earrings and a necklace using the same hammer and a design that I really love. I thought it important that they both come from the same sheet of metal. Maybe that’s me being sentimental. 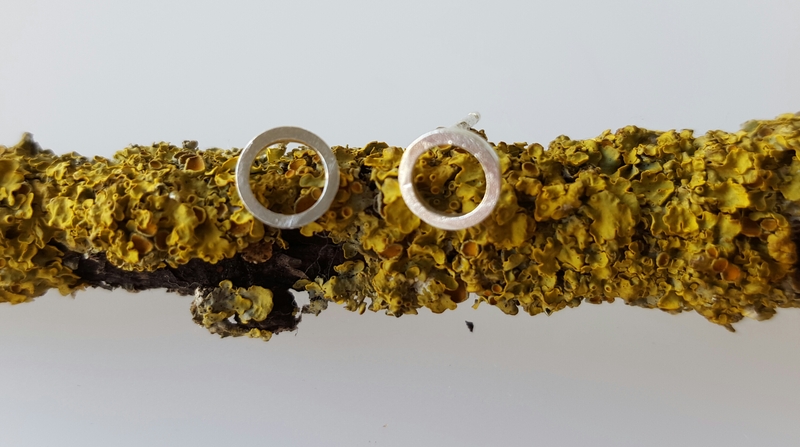 But I like the idea of jewellery that was once one piece of metal becoming separate pieces for people who want jewellery to link them. I did something similar a few years ago for a friend. She wanted to give her sister a ring for her 18th birthday. She wanted the same ring for herself. 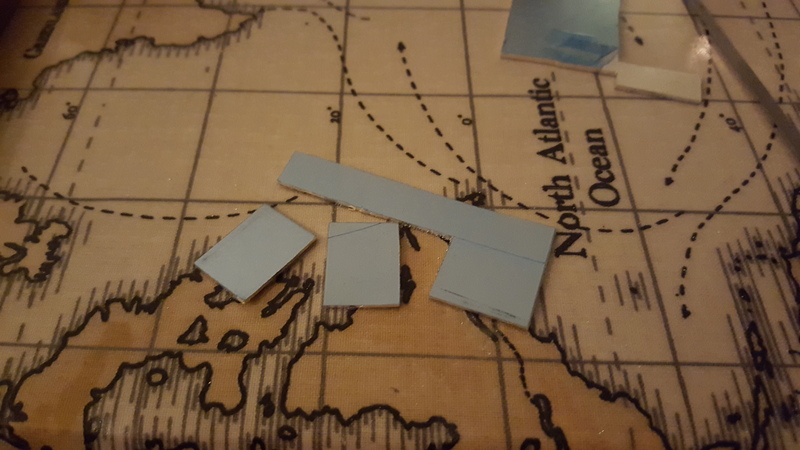 I made them out of the same sheet of metal so that no matter how far apart they are they still have the rings that were once one piece together. 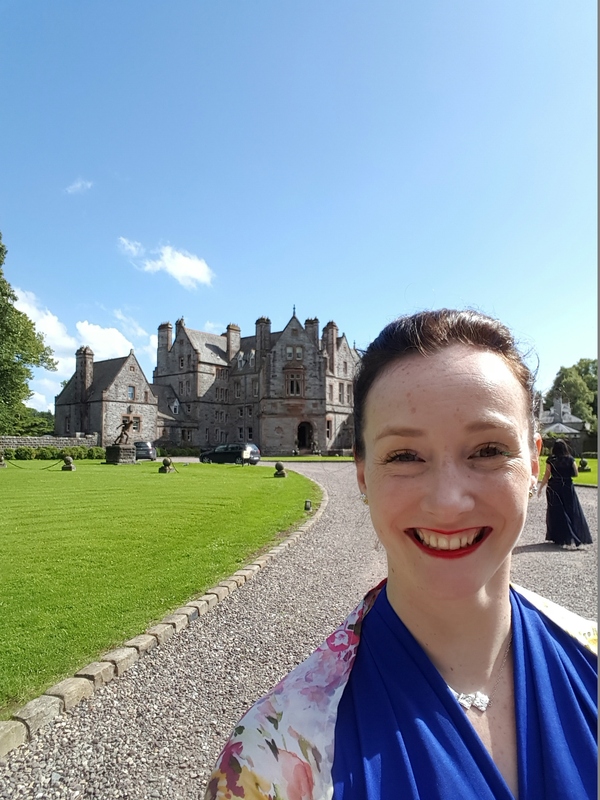 The wedding was held at Castle Leslie in Co. Monaghan. What a venue! 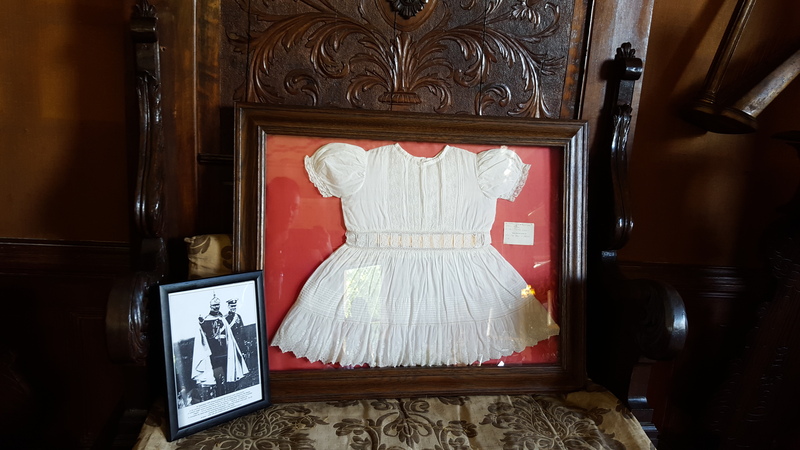 Lord Leslie is a cousin of Sir Winston Churchill and Churchills Christening gown is actually on display in the castle. A wonderful member of staff took the time to show me the paintings and connections and then pointed me in the direction of the gown. I had been taking photos all over the place so it was fairly obvious I was interested. I LOVE history and seeing pieces of history and being in those rooms is an amazing experience. I had an amazing day at the wedding and I was really pleased that I had taken the time to make a personal gift for the bride and groom. They had a beautiful day and we rocked the dance floor. What a day. Weddings are a great reminder to us all of the love in the world. And my only chance to dance the night away these days 😉. Or I can customise something just for you.